Abbas had been at JSA as a senior associate more than a decade-and-a-half ago. We are pleased to welcome back Mr Asim Abbas to the JSA fold to anchor our Telecom Media Technology (TMT) practice at our Delhi office effective 1st February 2019. 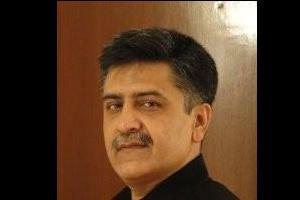 Asim has 25 years of experience in the TMT field and has worked with top telecom and media companies. With his experience in regulatory advisory, litigation and M&A in the TMT space and his deep domain knowledge Asim will work with various partners across offices in their matters and transactions wherever there is an overlap or opportunity to support. Asim will be able to provide excellent service to clients in the telecom, media and IT industries. Asim is delighted with his home-coming after his proverbial 14 years away from the firm. Abbas had worked at JSA briefly between 2001 and 2004 as a senior associate, after he had started his career at the Ministry of Communications (post 1990 Delhi University-law degree), and in 2000 a one-year stint at Luthra & Luthra, as it then was. After that, he was vice president legal at Bharti Airtel between 2004 and 2007, followed by two years of running his own start-up Legal Spectrums. In 2010 he had joined Khaitan & Co as a partner before moving to Shardul Amarchand Mangaldas (SAM) five years later in 2015. By August 2016, he had joined SAM rival CAM in Delhi. CAM managing partner Cyril Shroff had wished Abbas well in December. "CAM leaver" is such a ridiculous phrase, Kian. is there something I'm missing with the 'anchor'?